Today, I would like to share with you my inspiration for April. This time I have something a little bit different from my comfort zone. 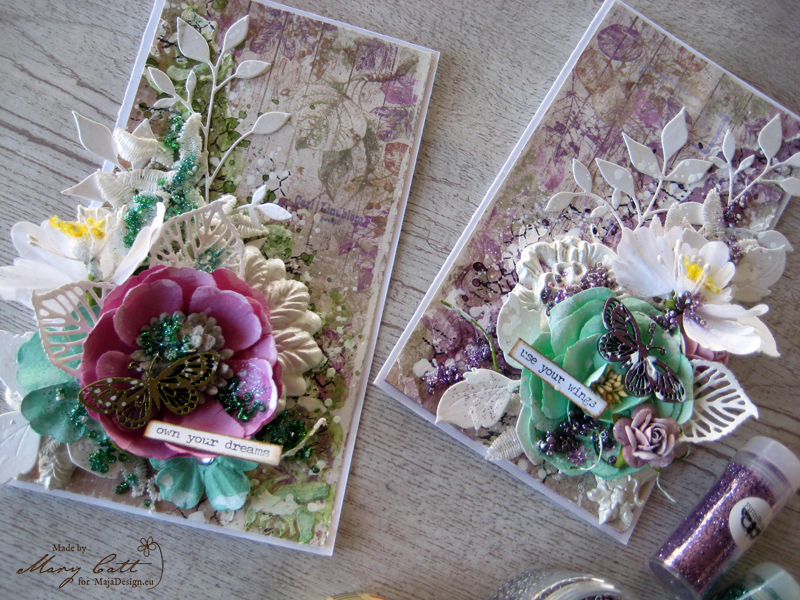 I made two cards with papers from the ”Enjoying Outdoors” collection along with lots of flowers and laces. For the background I choose the ”Singing in the rain” paper and I used it on both cards. 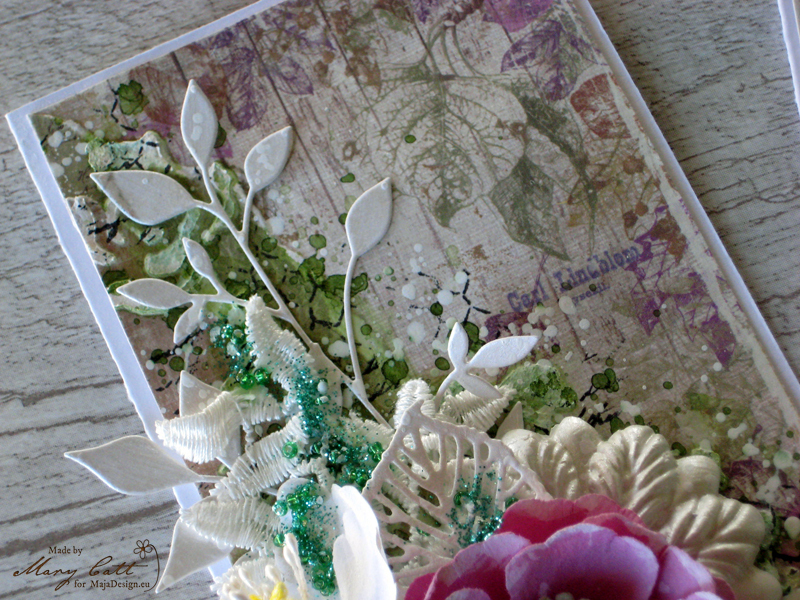 I made two layers on the first one with the ”The Great Nature” and the ”Woodlands” papers. I added color with the Edelweiss Moss Green Lindy’s Gang spray. 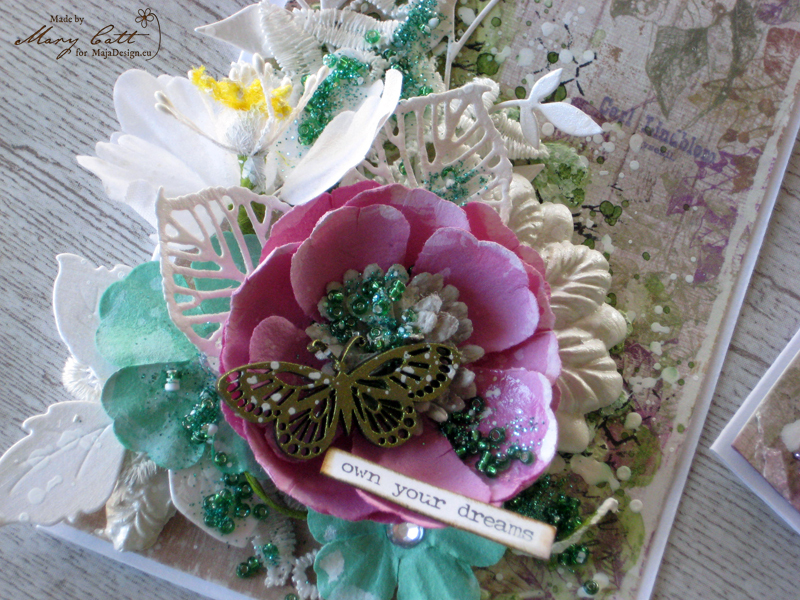 The butterfly chipboard was painted with the Finnabair acrylic paint sparks ”Fairy Wings”. 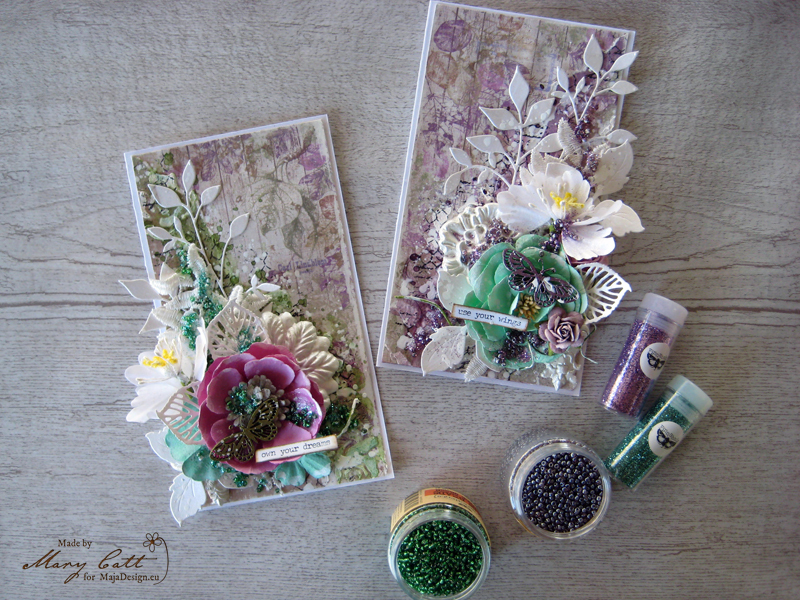 I have also made two layers on the second one with the ”Gardening” and the ”Time for reflection” papers. I used the Open Arms Amethyst Lindy’s Gang spray to add some color. 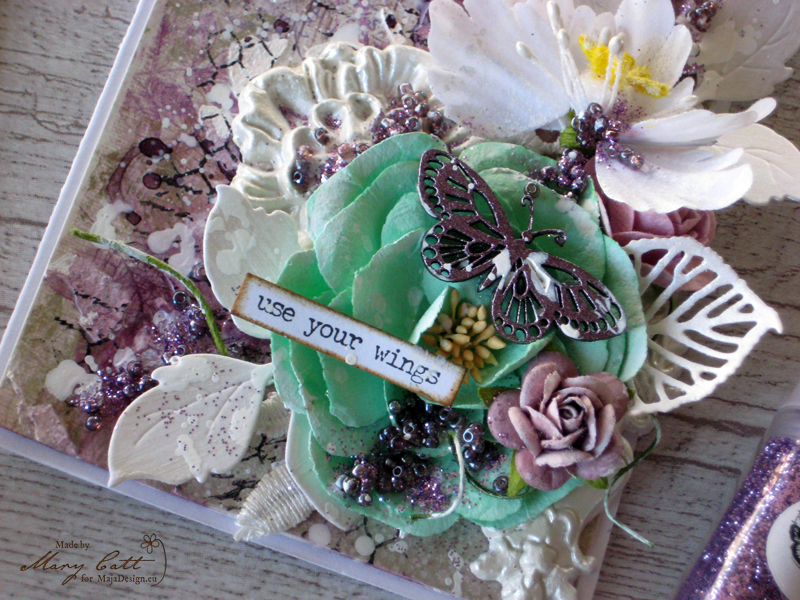 The butterfly chipboard was painted with the Finnabair acrylic paint sparks ”Iris Potion”. 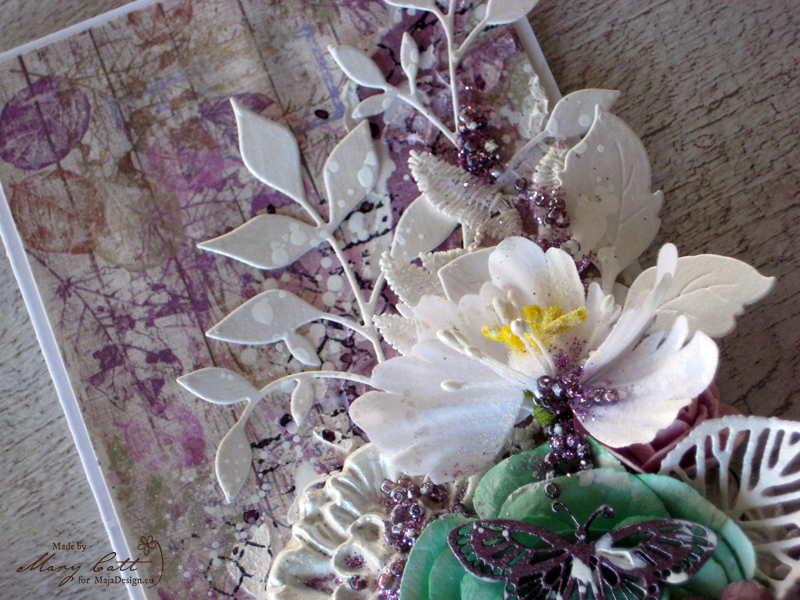 The chipboards are Dusty Attic and the flowers are Prima Marketing. When everything was glued down, I added some glass beads and sprinkled a little glitter on them. The final touch was made with some splatters with white ink.